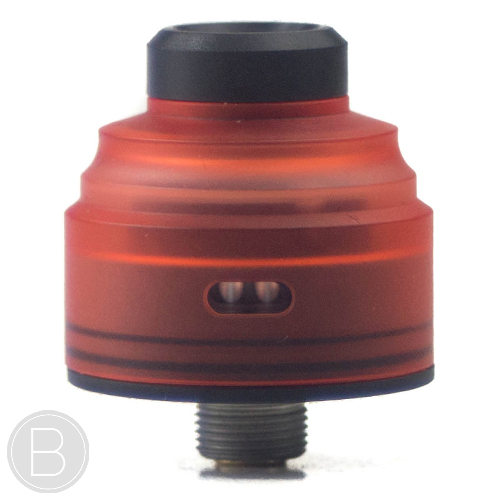 Mission VX – KRMA RDA – The Mission XV KRMA RDA boasts a simple, elegant and classy design with minimalistic lines. 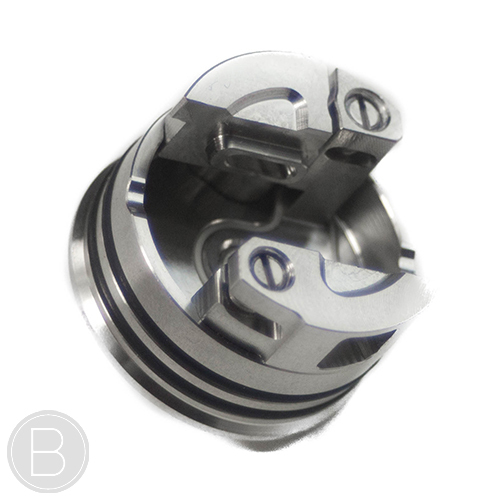 Engineered with step down, centre oriented airflow and in conjunction with protruding air inlets to maximise flavour output but also makes the KRMA RDA inherently leak resistant. 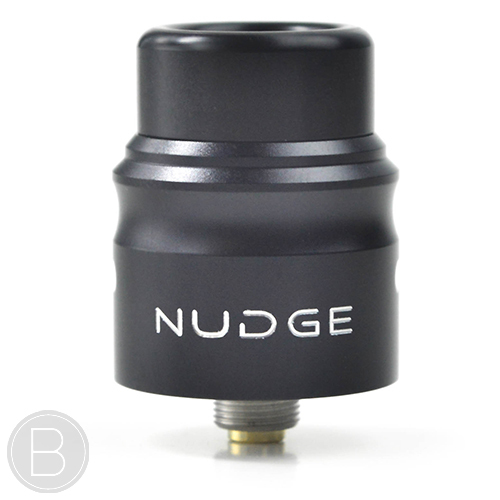 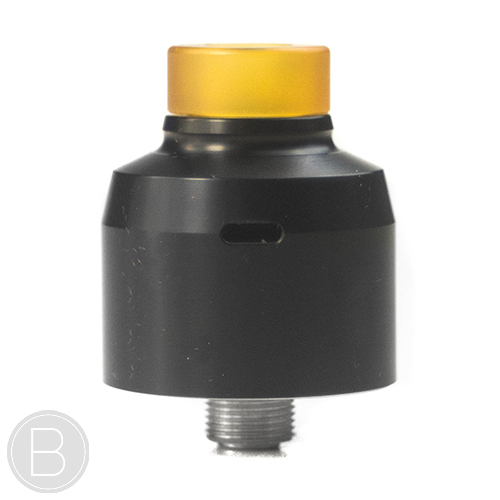 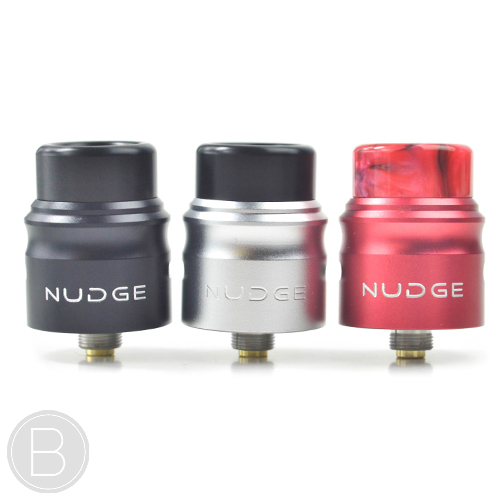 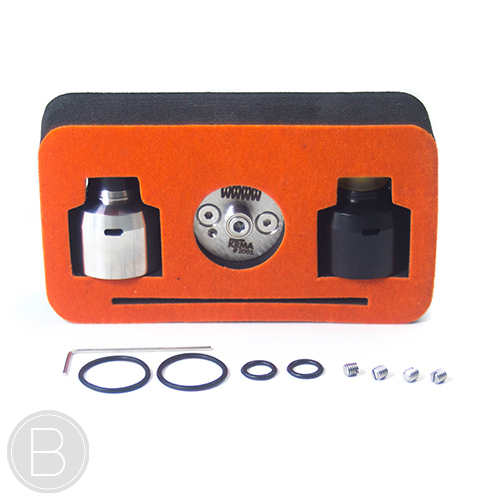 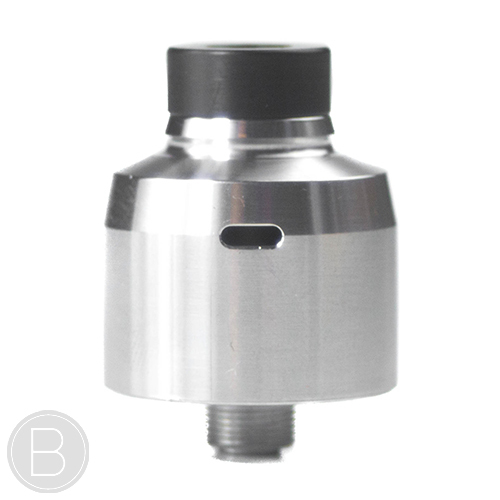 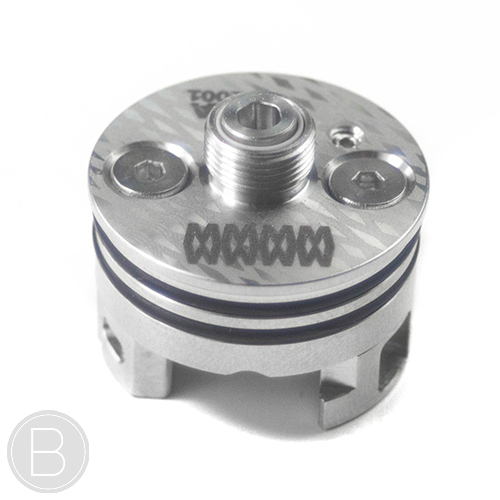 This piece utilises easy to build guides, flat head grub screws and a squonk set screw, to change from dripping to squonking without the need to remove your build or 510 pin. 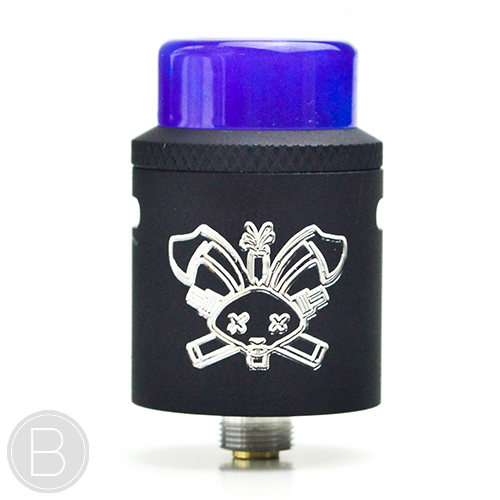 This beautiful feature packed RDA from Mission XV is sure to impress both seasoned and beginner vapers alike. 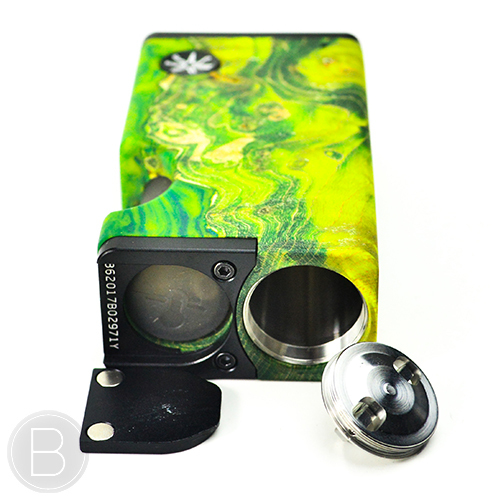 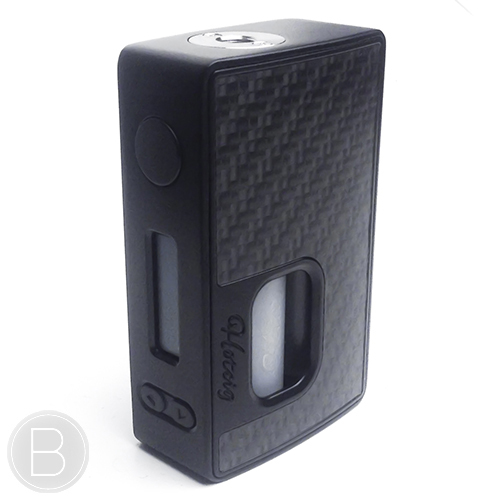 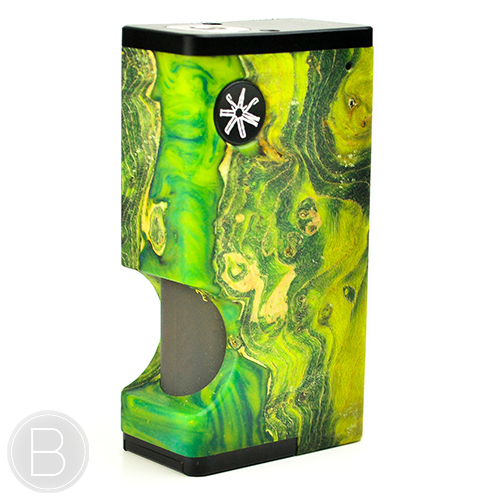 Unique Stabilised Wood & Resin Squonk Mod – Unregulated output with inbuilt chipset that includes a number of useful safety features. 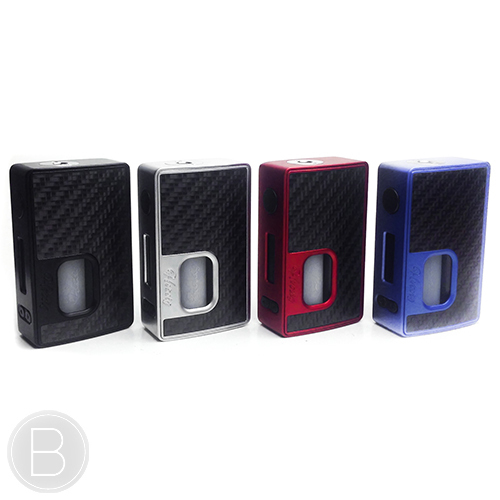 Hand crafted stabilised wood mechanical Squonk Mod with a resilient Piano Gloss finish. 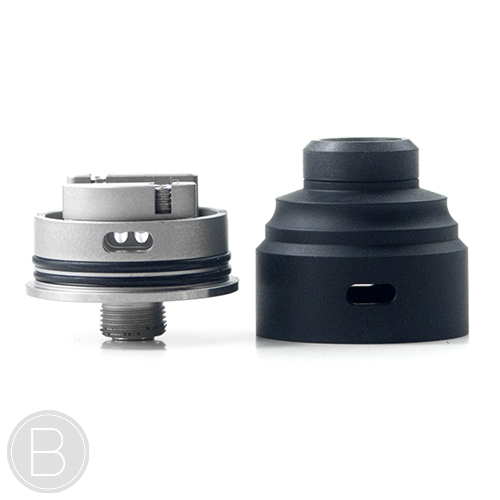 22mm & 24mm connector options.